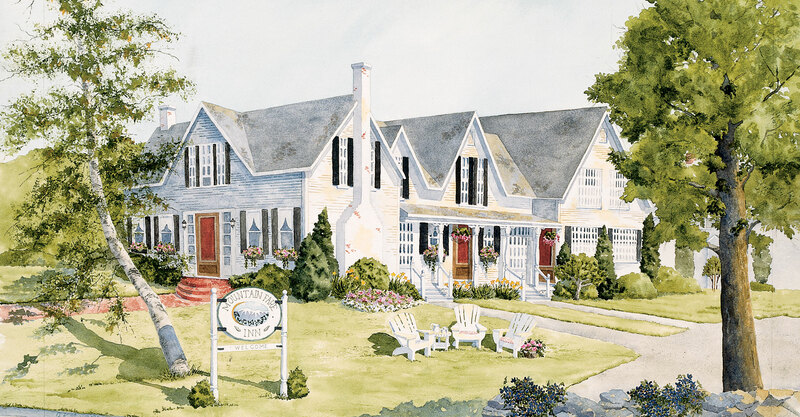 The Carriage House offers a warm and relaxing retreat for our guests. The Game Room, featuring a pool table, puzzles, board games, wood stove and TV, is the perfect social venue for friends and family. The Carriage House also offers a Swedish Sauna for pure relaxation! Stay with us Monday through Thursday and you can deduct $15 from the regular room rate (non-peak times, non-holidays). The Carriage House has three large guest rooms, all with private baths. 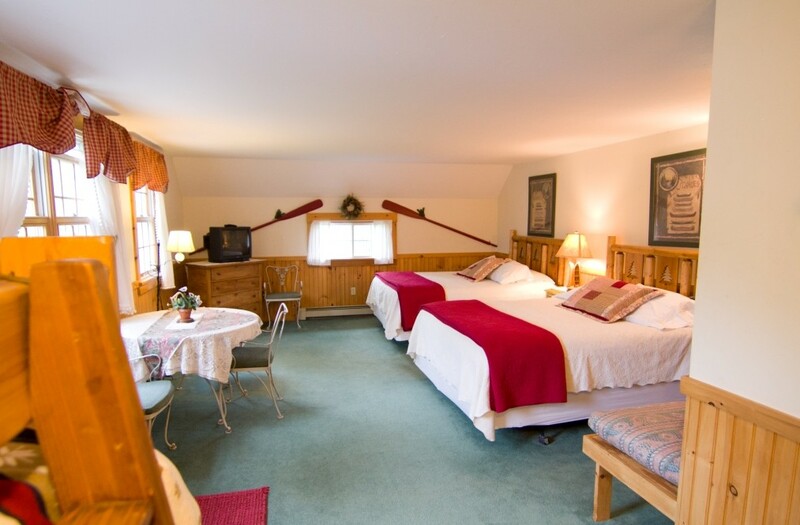 The Mad River Room features two beautiful pine log queen beds and a bunk bed with sunny south-facing windows. The Welch Mountain Room overlooks our soccer field with views to Welch and Dickey Mountains. The White Peaks Room, featuring high-peaked ceilings and arched windows, is our premium room for honeymoons and anniversary celebrations. Join us this summer for the perfect mountain getaway.